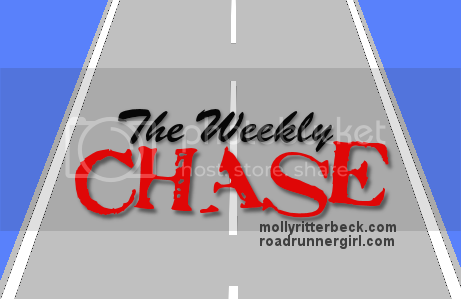 Road Runner Girl: The Weekly Chase #203! Happy Monday y'all!!! One more week....and we are out for Christmas vacation!!!! I know this week is going to fly by from all the busy things we have going on! 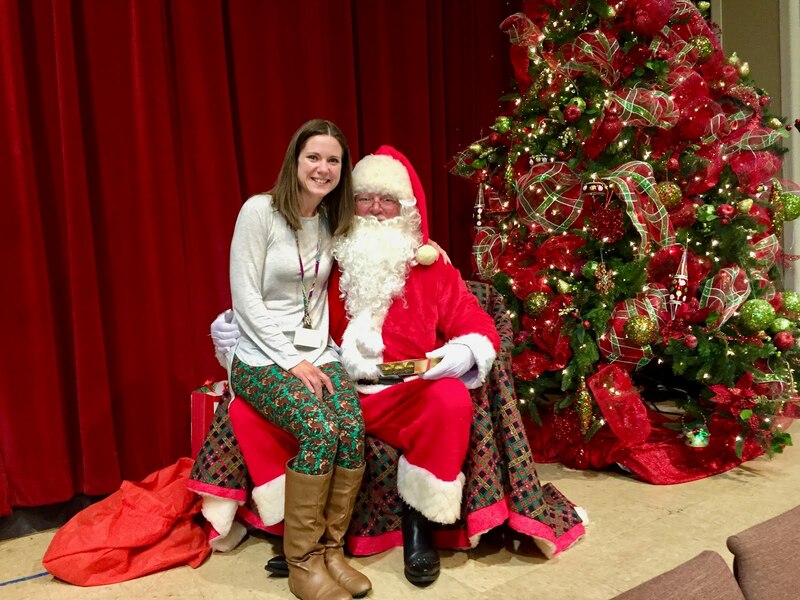 And do you see my cute LuLaRoe Christmas leggings???!!! After such a busy weekend last weekend, I was looking forward to a much slower one this weekend. And that's what we got! Friday night we had our traditional pizza night and we watched the newest Bourne Identity movie. My hubby LOVES those movies! Saturday morning it was FREEZING outside! But I had to get in a long run. I ran 7 miles and survived lol! I came in from my run to see THIS! I love how good they get along! 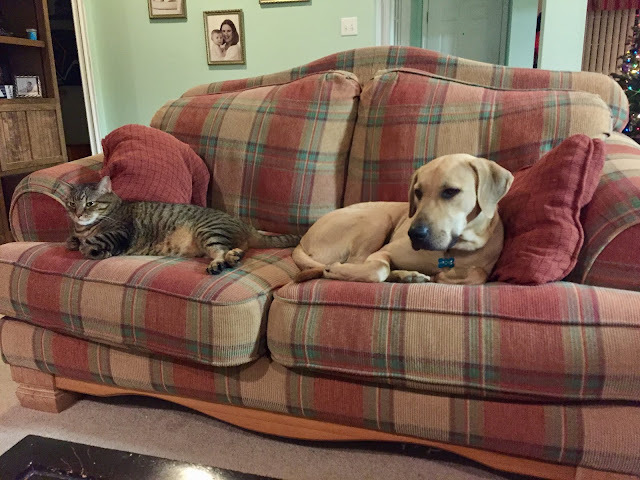 And I think they think that couch is theirs lol! We went out for lunch and then we took Archie to the dog park. He had a blast playing with all his doggie friends! The rest of the day and night was spent playing Monopoly! My boys are fierce competitors y'all! Sunday was another cold run but not AS cold. I finally knocked out the first part of the Rock 'n' Roll Winter Runningland virtual run. I was late but at least I got it done! I also got ready for the new week which meant doing lesson plans! At least it will be a fun week all about Christmas! Goal #1: Run every day! Yes! I reached day 933 yesterday!!! Goal #2: Roll, stretch, and ice daily. Stretch yes. Roll no. Goal #5: Run at least 1 run under 2 miles. Yes! That's right! I said yes to this one lol! I had a super early field trip with Sawyer this week and woke up at 3:45am to run. I only had time for a run under 2 miles! Goal #6: Take at least one walk this week. Yes thanks to Archie! Goal #7: Strength train at least 2 times this week. No. We had some nasty weather with tornado watches this week and I didn't want to leave my boys just in case. Here's my goals for this week! Goal #8: Write my Battleship 12K Race Recap. Y'all! I've been so bad about getting this written! I've got to do it! Goal #9: Buy a dirty santa gift for my work Christmas party. It's always a fun time!!! So that's the plan for this week. I didn't do well with my goals last week. I'm hoping to do much better this week!